Fiber optic fabric, lit by LEDs. Yes! No black light. 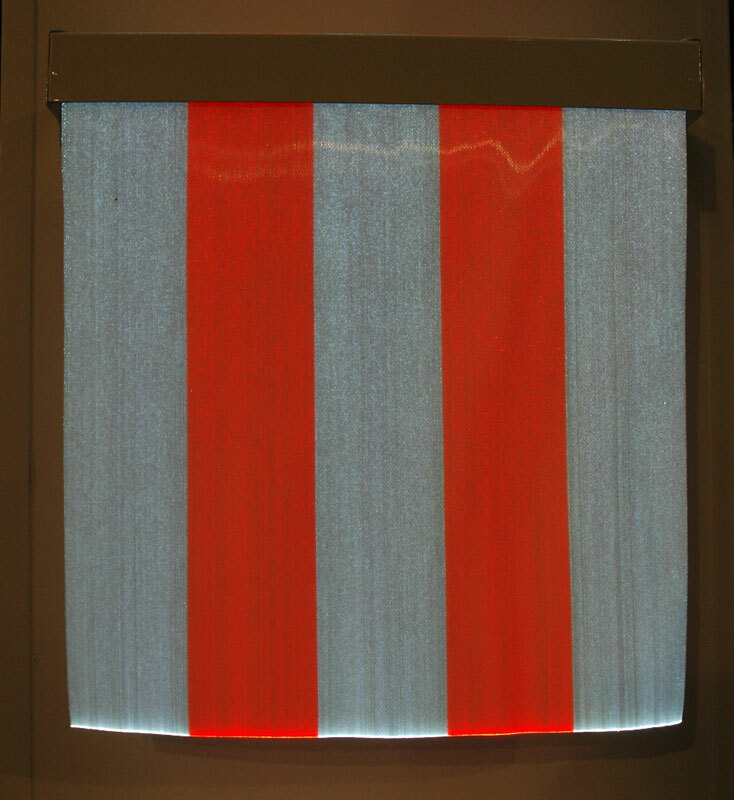 Stripes by Daniel Buren, Lisson Gallery.